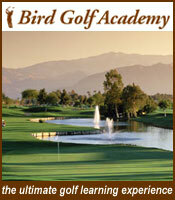 Bird Golf currently has four spectacular California locations – Palm Springs, Napa, Santa Barbara, and San Diego, CA. 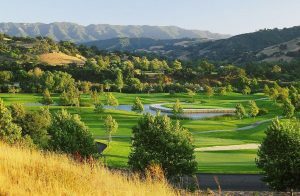 Their Napa Valley location is just 35 minutes away from San Francisco at the Hiddenbrooke Golf Club, the premier Arnold Palmer Signature designed golf course in Northern California. Home of the LPGA’s Samsung World Championships, Hiddenbrooke is hailed as the “premier golf course north of the Golden Gate Bridge”. Just a short drive from downtown Palm Springs (and an easy two hour drive from Los Angeles), The Classic Club is one of California’s great golf courses. The host course of the PGA Tour’s Bob Hope Chrysler Classic in 2007, 2008 and 2009 and designed by Arnold Palmer, it is breathtakingly beautiful. 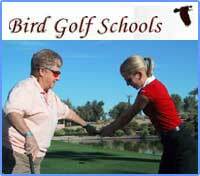 Bird Golf School students will appreciate the Hyatt Regency Resort and Spa Hotel’s luxurious accommodations, the resort’s swimming pools, varied restaurants and the superb Spa. Conveniently located 2 hours from San Diego airport is the scenic Rams Hill Golf Course. 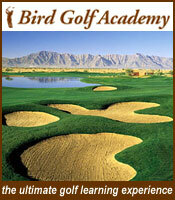 The golf course is along a mountainous hillside in the Anza Borrego State Park of the Southern California desert. Waterfalls, streams and lakes frame the brilliantly crafted design by Tom Fazio. 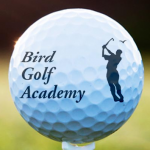 The other Bird Golf Academy California location is at Alisal Guest Ranch and Resort in Santa Barbara. The magnificent Alisal Guest Ranch and Resort sits in 10,000 private acres of the stunning Santa Barbara wine country. Our golf school students are treated to an amazing view at virtually every turn as the resort rests in a valley surrounded by spectacular hills.